I spent an hour or so this rainy weekend planning for a future trip to Nevada’s Great Basin National Park. (Hang in there, this post is actually about geospatial data and search engine optimization - SEO). 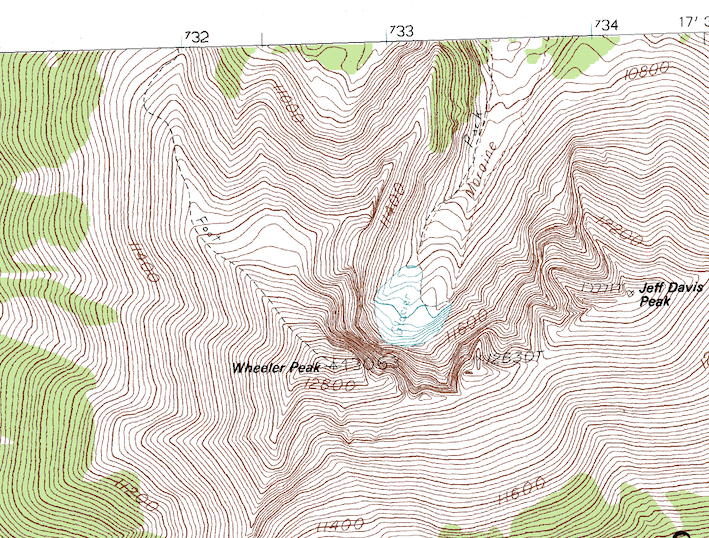 Specifically, I wanted to print out a few areas of the USGS 1:24,000 scale topographic quad maps for the Wheeler Peak portion of the park, which by all accounts includes some delicious spring ski touring terrain. 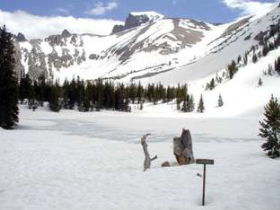 And as luck would have it, that area of the park falls on the boundary of the Wheeler Peak and Windy Peak USGS quad maps. 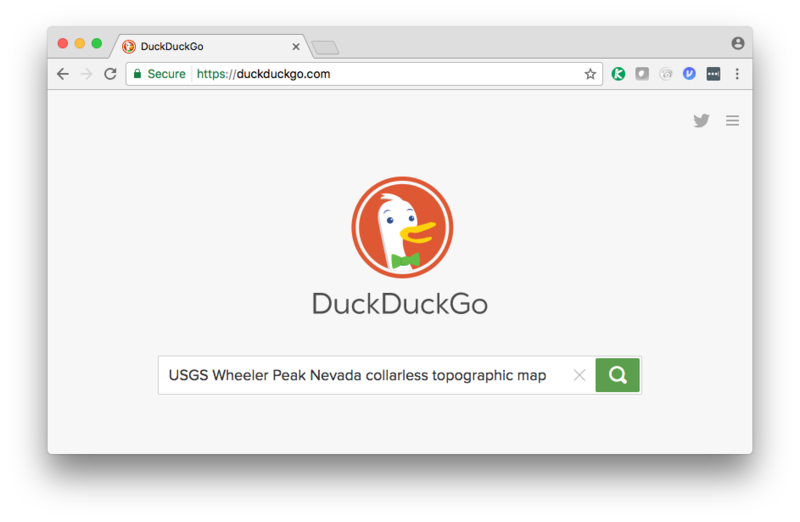 Ideally, I wanted the plain-jane, collarless, georeferenced files for each map, so I could load them into GIS or an image manipulation app (photoshop, gimp, etc.) and print out just the areas I needed. And, bonus points go to the data stewards if I could do so while avoiding any and all of the following: creating yet another user account, suffering through undesired ads and mouse clicks, downloading additional unneeded bulky data layers, paying fees to resellers of public domain info, and feeling like I was risking infecting my machine with ‘who knows what?’ packed into a download file. Basically, I wanted just the facts, from a trusted, unobtrusive source. Sadly, it did not. At least not for me. And, suffice it to say, it would have been incredibly painful for a UX specialist to watch all the dead ends I subsequently encountered chasing the data I wanted using various search aids (map-based or otherwise). I had a similar experience last week looking for geospatial data for historic trails data from the National Park Service's Data Store (hint, try the 'advanced search' and specify 'geospatial data' from the long list of document types in their catch all document management system). But this whole exercise was worthwhile in the end. It was a timely reminder that AGRC, and other purveyors of authoritative GIS data, need to continually revisit the ease with which data is found and accessed, especially for cases where the general public may be interested. Why should we expect end users to use something other than their preferred, tried-and-true strategy for finding information they don’t have— the single text box search. Geospatial information isn’t geo-special, the same expectations should apply. It's been five or so years since I first heard talks by past NSGIC contributors Learon Dalby and Michael Byrne (watch Mike's worthy www.i/believe/in/urls video from 2013? ), and during that time AGRC has been working on our single text box search approach at AGRC. We’ve made progress, but there’s more work to be done. And, yah, we've got a simple internal search aid too, but we didn't mortgage or give away the farm (or our domain) to get it in place, and it's designed as a secondary strategy. As you embrace the power of URLs and set single text box search as your primary findability strategy, plan your approach so that your SEO will connect most users to the most sought-after information resources, the most efficiently (that's most3, btw). Put a smile on your users' faces. They will be much more likely to speak of your organization with great praise and fondness. And, that'll pay dividends on the effort you made. Can your domain and URLs be harmonized with your organization's brand? If you've conceded that already to an external domain you don't control, can you get it back? In the meantime, I'll work on finding and assembling the pieces of the classic topos I am looking for (like the one below), which are still enduringly excellent (!!! )...probably because there was such a simple, but strong focus on usability. Update: Made this trip on June 8th, and ended up skiing nearby Jeff Davis peak instead (left side of ridge in the landscape photo below). Interestingly, this peak was named for Jefferson Davis, who served as president of the confederacy. But, Nevada was a Union (as in Northern) state and the peak is just miles from US 6, that honors the Grand Army of the Republic (Lincoln's side). Davis in a previous capacity was a US Senator and the Secretary of War, which oversaw the Army Corps of Topographical Engineering. That relationship is credited with how the peak got its name. And, just for fun. Nevada was rushed into statehood prior to the 1864 election. As part of that process, the state's new constitution (all 16,543 words) was telegraphed to D.C, setting the record for the longest telegraph which stood for 17 years.